Curators at the National Museum of American History often rely on scholars in the field to illuminate new areas of collection and research. In order to examine the intersections of Labor History and Latina History, I turned to historian Dr. Vicki L. Ruiz. Dr. Ruiz is a Distinguished Professor in History and Chicano/Latino Studies at the University of California, Irvine. She is currently working on a biography of labor organizer Luisa Moreno (1907-1992), which will recognize Moreno's lasting legacy in the area of civil rights and union organizing, but also Moreno's life as feminist poet. Ruiz has previously published about Moreno's poetry in Women's Labor in the Global Economy: Speaking in Multiple Voices, published by Rutgers University Press. On a summer day in 1978, I knocked on the door of a small apartment in Guadalajara, Mexico, the home of Luisa Moreno, in my eyes a larger-than-life labor legend. Clutching a sheaf of transcript notes from her earlier interviews with my graduate advisor Albert Camarillo, I felt like a kid who had a note from home pinned to her blouse. Coming to the door, she eyed me suspiciously, but after an awkward moment, she must have decided I was harmless enough and invited me into her apartment and into her world. Thus began a relationship that has touched my scholarship at every turn over the past four decades. 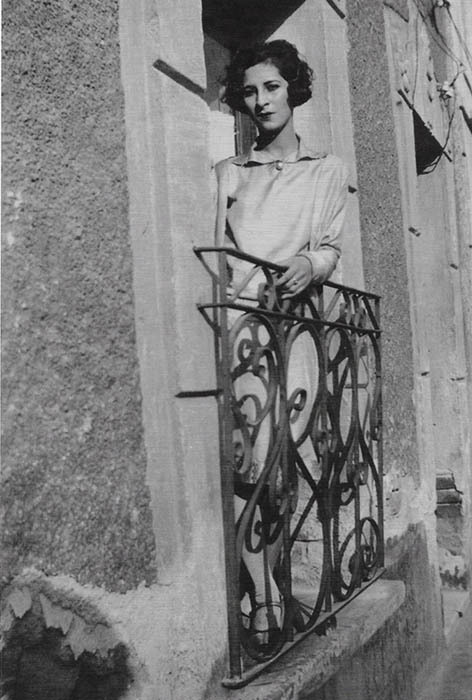 Luisa Moreno in Mexico City in 1927. Gift of Vicki L. Ruiz. 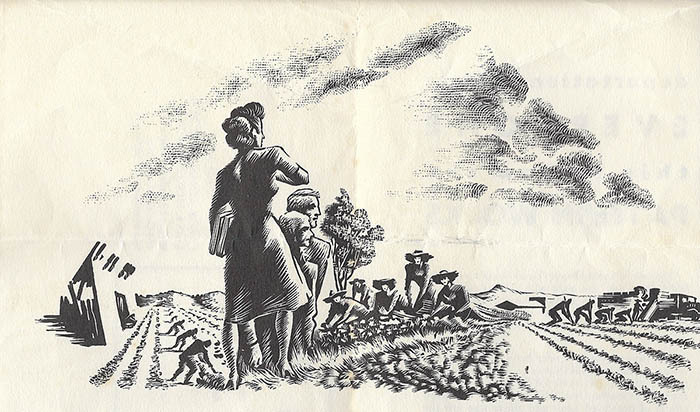 In my early interviews with Moreno, I focused on her life as a labor leader, particularly her mobilization of California cannery workers, the subject of my dissertation and first book. Filling in the details of her life in the United States as it related to her union work dominated these conversations. However, she gradually allowed me access to her world as Rosa Rodríguez López, the well-heeled teenage feminist intellectual and poet who lived in the capital cities of Guatemala and Mexico in the 1910s and 1920s, a full decade before she began her career as a professional labor organizer among cigar rollers in Florida. Draft of a poem penned by Rosa Rodríguez López. Gift of Vicki L. Ruiz. Daughters of the powerful coffee grower Ernesto Rodríguez Robles and his socialite wife Alicia López y Gonzalez de Saravia, López and older sister Graciela organized their elite peers into La Sociedad Gabriela Mistral. Named for the poet Gabriela Mistral, the first Latin American author to win the Nobel Prize for Literature, La Sociedad was a feminist literary society focused on women's education and advocacy. López explained its purpose as follows: "…the woman continues to be attached to ignorance; her emancipation is necessary. Feminism will make her become Conscious…and…by obtaining an adequate education, she will be prepared [for]…a much more ambitious future." Sociedad members penned essays critiquing U.S. popular culture (e.g. "westerner's opium") as well as women of their own class (gossipy, "useless women"). As Guatemala's first feminist organization, La Sociedad brought issues of women's rights, economic disparities, and racial prejudice to the pages of the national newspaper. Through petitions and informal lobbying, its adolescent members played a part in opening, albeit ever so slightly, educational opportunities for women, with López herself scheduled to enter Guatemala's only university. However, she had other plans. Chafing at the social conventions expected of a woman of her station, López abruptly departed Guatemala in 1926 (without a chaperone, I might add, truly a radical act) for the allure of Mexico City. Enrolling as a student at Universidad Nacional Autónoma de México (UNAM) and working as a journalist for a Guatemalan daily, she participated in a burgeoning cultural renaissance taking place in the aftermath of the Mexican Revolution. One admirer considered her a bright light in women's literature both in her home country and throughout Latin America, even comparing her with famed poet Gabriela Mistral. 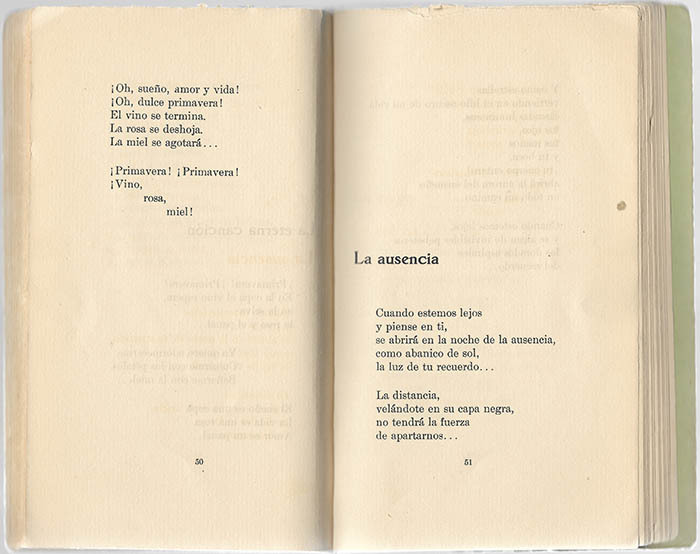 In 1927, López published a book of poetry El Vendedor de Cocuyos (Seller of Fireflies). Barely 20 when her book appeared in print, Rosa Rodríguez López conveyed in her poetry youthful abandon, passion, and desire without artifice or pretense. Decades later, I knew that we had reached a new level of trust when she pulled out her treasured copy of El Vendedor de Cocuyos (Seller of Fireflies) and shared its contents. 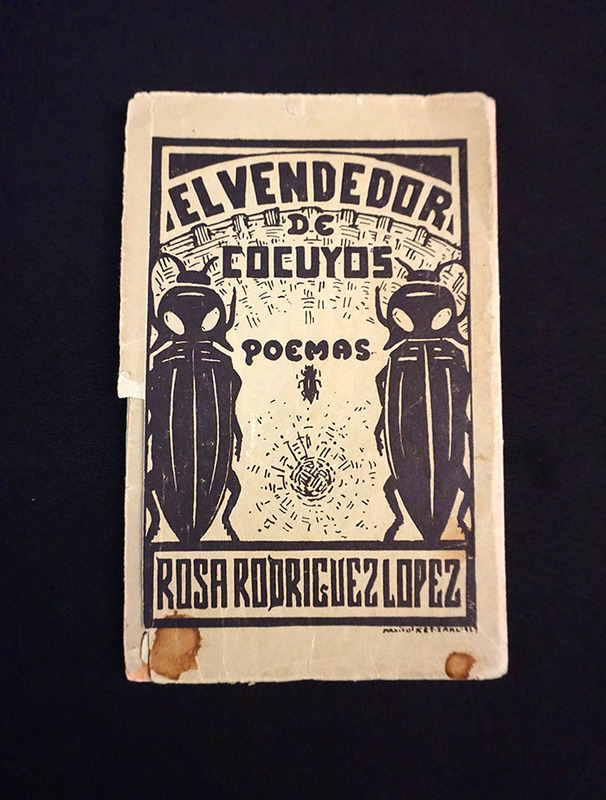 Poetry book published by Rosa Rodríguez López 1927. Gift of Vicki L. Ruiz. Indeed, my last contact with López revolved around her poetry. Through her close friend and union colleague Elizabeth Eudey, I had received from her a gift: El Vendedor de Cocuyos. A few months later Eudey forwarded to me a copy of the poems in English translated by Abbott Small, a Spanish teacher and published poet who had spent his boyhood in Mexico as part of the American expatriate community. His parents Berthe and Charles Small had known Rosa Rodríguez López since her organizing days in Florida. María Lucia Gómez, a poet from Columbia, also took a turn at translating the verses. 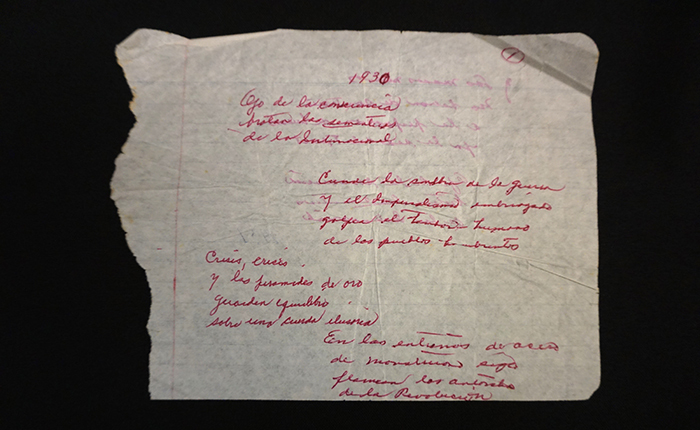 In 1991 López's daughter Mytyl Glomboske carried both sets of translations along with a copy of the original poems to her mother then living in Guatemala. Although debilitated by a stroke, she asked her daughter to read each version aloud and then, after examining each text, she asked her daughter to write simply "Rosa" by the translation she preferred. An illustration of Moreno as a labor leader, part of the pamphlet "The Case of Luisa Moreno Bemis." According to her daughter, López was thoroughly engaged in selecting the translations, although it required a great deal of stamina from an 84-year-old woman in failing health. She may have felt a sense of closure, of her life coming full circle or flowing within the "golden spirals of memory." In retrospect, she had chosen politics over poetry, considering the latter a luxury she could no longer afford as a labor leader. Yet, it is precisely through her poetry that one can catch a glimpse of her passion, intellect, and spirit, hints of the woman she would become. Dr. Vicki L. Ruiz is a Distinguished Professor in History and Chicano/Latino Studies at the University of California, Irvine. Ruiz has also published about Moreno's poetry in Women's Labor in the Global Economy: Speaking in Multiple Voices, published by Rutgers University Press. The blog above contains excperts from her article "Of Poetics and Politics: The Border Journeys of Luisa Moreno," published in In Women's Labor in the Global Economy: Speaking in Multiple Voices, edited by Sharon Harley, 28-45. New Brunswick: Rutgers University Press, 2007. They have been reproduced with permission from the publisher. Find out more about Luisa Moreno in the New Perspectives case in American Enterprise from July through December 2018.